- Purpose Lies Within: A Motivational Book for the Heart and Soul. Purpoz has a Bachelors degree In Policy Studies Analysis from Georgia State University. She earned her Master's Degree in Psychology from Keiser University. She is is currently a psychotherapist/counselor and works at a local health agency and the clinical director of Purpoz Counseling & Wellness Center, LLC. Her areas of specialty is in health, relationships, women's issues, disability issues, anger management, stress, self-esteem, and parenting. Purpoz is an advocate for women issues and children with developmental disabilities. Kimberly is now accepting clients for her coaching services. 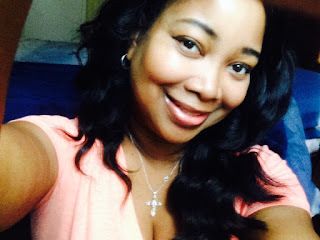 Kimberly is a also a researcher, behavioral scientist, and grantwriter. She is currently pursuing her Ph.D in Psychology at Keiser University. Kimberly lives in Atlanta, Georgia with her family. Email: kpurpoz@gmail.com for more information. Kimberly is now accepting clients for her coaching services. 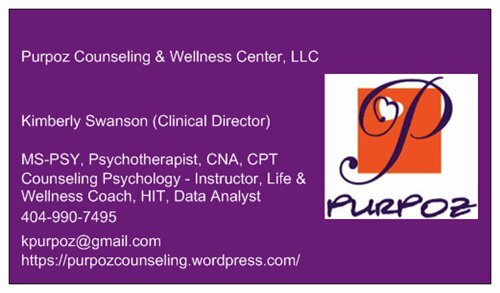 Visit Kimberly Swanson's "Purpoz" profile @ Psychology Today to schedule a free initial 30 minute phone consultation or call 404-990-7495. Already know that you want to hire Kimberly?? Go to Purpoz Counseling & Wellness Center's blog to pay for a life coach session.